On May 6th Croatia’s esteemed DJ/producer Petar Dundov released his fifth artist album entitled ‘At The Turn Of Equilibrium’. 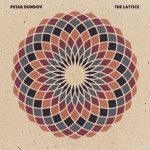 Petar Dundov, a stalwart of the Croatian scene and a fine purveyor of sophisticated melodic techno, has been a prominent and respected name within underground dance music for over two decades. Throughout his career, the gifted Croatian has achieved much praise and recognition through releasing no less than four acclaimed artist albums (‘Sculptures 1-3’ in 2001, ‘Escapements’ in 2008, ‘Ideas From The Pond’ in 2012 and ‘Sailing Off The Grid’ in 2013) and performing at some of the world’s best clubs and festivals such as; I Love Techno (BE), EXIT (RS), Awakenings (NL), Berghain (DE), Womb (JP), Air (NL), Fuse (BE) and Space Ibiza (ES). The album’s impassioned opener, ‘Then Life’, commences the release by taking us on a captivating journey of complex melodies and soothing ambient textures. The album continues by showcasing a wealth of hypnotic masterpieces such as the dark and slow-burning ‘The Lattice’, the thought-provoking ‘Before It All Ends’ and the Kraftwerk-esque ‘Midnight Orchestra’. Other highlights include, the Vangelis-influenced up-tempo groover ‘Mist’, the lush ambient soundscape ‘New Hope’, the uplifting and emotional ‘Missing You’ and the hugely stimulating synth-driven melodic work-of-genius ‘Everlasting Love’ which concludes the album. 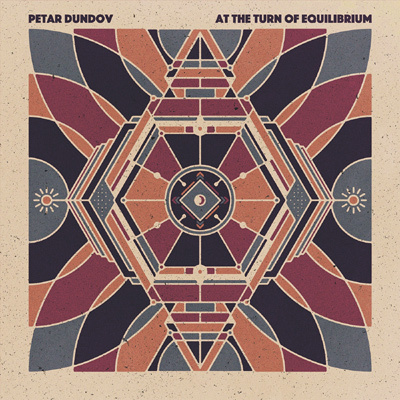 ’At The Turn Of Equilibrium’ is a very absorbing and imaginative album that’s been driven by Dundov’s eternal quest of translating sound into emotion. Developed like a well-constructed DJ set, the album has not only been designed to invoke personal insight for music to be the catalyst for understanding but also make sense as a listen, highlighting Dundov’s unparalleled talent, depth and versatility as a DJ/producer. ’At The Turn Of Equilibrium’ is now available on download, streaming, CD & 4LP including cd.